Federer, fresh from the success at Swiss Indoors, opens his campaign in a tricky test against comeback man Raonic on Wednesday. Here's how you can watch the match live on TV, online. Third seed Roger Federer takes on unseeded Milos Raonic in the men's singles second round of Paris Masters on Wednesday, October 31. The second-round match between Federer and Raonic will not start before 7:30 pm local time, 12 am IST (Thursday) and 7:30 pm BST. Sony ESPN and Sony ESPN HD will provide live television coverage of the match in India. The live stream will be on Sony Liv. After a lot of uncertainty over his participation in the season's final Masters 1000 tournament, which he had missed for the last three years, Federer has arrived in Paris with renewed confidence. The 37-year-old is entering a star-studded draw on the back of a title win in his hometown — Basel. Federer was made to work hard in the ATP 500 tournament where he struggled for serving consistency. 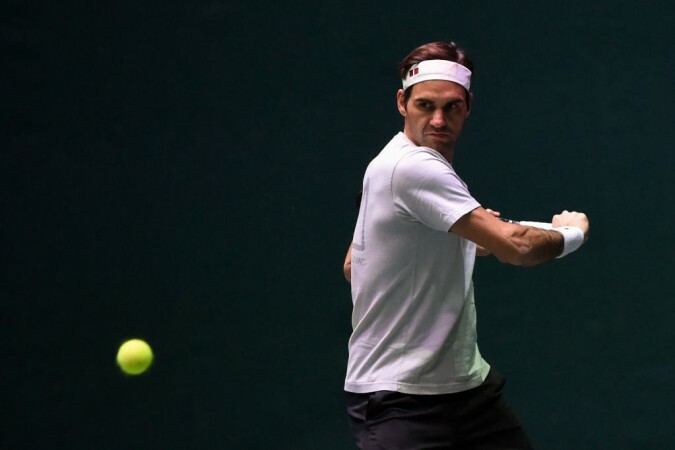 Federer insisted he got the much-needed confidence from the win in Basel but it remains to be seen how far he can progress in Paris, considering the strength of the field in the ongoing tournament. The 20-time Grand Slam champion, whose form has dipped after the early-season hard-court tournaments, has been handed a tough draw wherein he has to beat the likes of Kevin Anderson, Novak Djokovic and Rafael Nadal if he is to stand on the top step of the podium. While the race for the year-ending number one spot seemingly is a two-way race between Nadal and Djokovic, Federer still has an outside chance. However, he can't afford anything less than title wins in Paris and the Tour Finals in London to sensationally leapfrog the year-ending number one favourites. The world number three is 1,400 points behind top-ranked Nadal, who leads second-placed Djokovic by a slender margin of 215 points. Federer's immediate threat is world number 21, Raonic, who heads into the second round on the back of a hard-fought win over Jo-Wilfried Tsonga. The Swiss great will start as the favourite against the Canadian, whom he has an 11-3 head-to-head record. After being sidelined for the most part of the season with multiple injury issues, Raonic has been struggling to get past the initial rounds on the tour. The 27-year-old though should take confidence from the fact that he had won their last meeting on hard court — in 2016 at Brisbane Open.